Flight Night board member Bailey Siegfried (left) presented a total of $582,000 Tuesday to Tulsa Regional STEM Alliance Executive Director Xan Black and Fab Lab Tulsa Executive Director Nathan Pritchett. It was Flight Night's largest donation since the science, technology, engineering and math education booster group began in 2014. Science, technology, engineering and math education booster Flight Night made a record $582,000 donation Tuesday to two Tulsa groups. Tulsa Regional STEM Alliance and Fab Lab Tulsa received funding from the donation. Board member Bailey Siegfried said Flight Night has a big impact here, funding 20 programs since its founding in 2014. "So, 322,709 Oklahoma students have been reached since the beginning, 2,100 educators have been trained, and, just last year, we did 70,000 students and … we’ll be able to reach 150,000 over the next 12 months," Siegfried said. Tulsa Regional STEM Alliance offers programs for students and training and resources for teachers. Executive Director Xan Black said demand for STEM programs will always exceed supply, especially while state funding is flagging. "There’s just so much that we want to do, and we see how engaging STEM is and we see that their future careers, a whole lot of them are STEM-based," Black said. "So, it’s like I wake up in the morning knowing I need to get busy to find more opportunities for our kids." Fab Lab Tulsa works mostly with middle school students and teaches them to be innovators and problem-solvers through design challenges. "A lot of the students we work with don’t have great experiences. They have childhood problems, education problems, and they haven’t experienced a lot of success," Pritchett said. 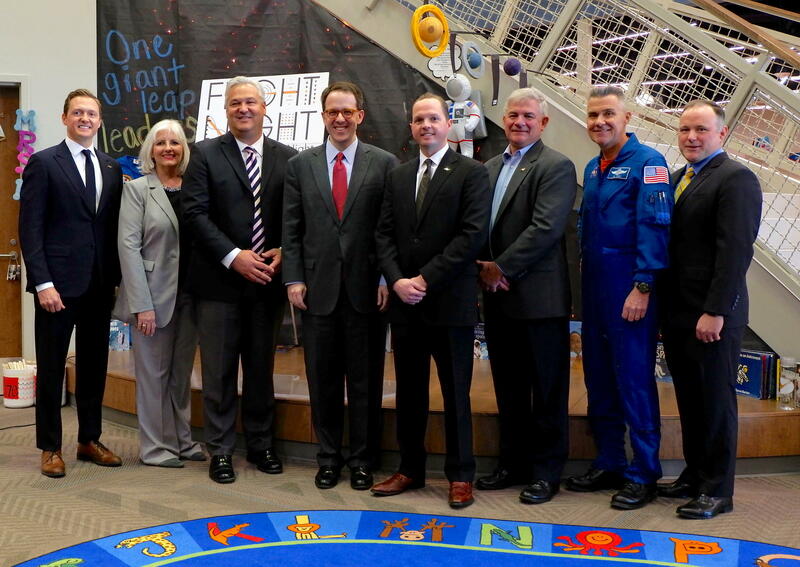 Flight Night has raised $1.9 million for local STEM education in its history.